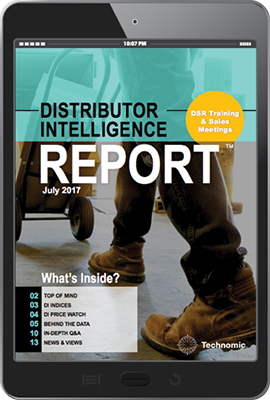 Your must-have for distributor intelligence is here. Having a firm grasp on the fragmented distribution channel is crucial for foodservice industry leaders to promote channel efficiency and to develop meaningful partnerships. Technomic’s Distributor Resource Library provides vital facts and expert research on the current foodservice distribution landscape, served up on a sleek, interactive platform, Ignite, designed to enhance your daily workflow. Explore and download robust company profiles for 500 distributors, highlighting sales volume, product lines sold, HQ contact information, distribution center details and more. 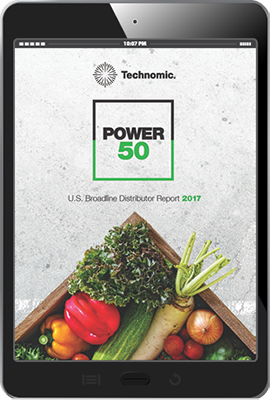 Access continuous reporting on the distribution channel, including the annual Power 50 U.S. Broadline Distributor Report. Benefit from the expertise of our research experts and client-specific account management teams for reporting questions and projects. Through the Distributor Intelligence Report, receive monthly tracking of key economic indicators based on Technomic’s DI Distributor Panel. Benefit from exclusive research and analysis of critical issues affecting the industry. Get an insider’s look at editorial insights regarding distribution operations, marketing and sales initiatives. Inspired by your business’ needs for comprehensive and universal search results all in one sleek interface, Ignite delivers the necessary tools and insights to support your growth initiatives. Receive vital facts and rankings on the leading 50 foodservice distributors. Receive monthly benchmarking information and data on the state of the foodservice distribution business, including key indicators like sales, profitability performance and the distributor confidence index.